Maud Younger was among the NWP leaders who came from upper-class circumstances but identified with working-class life. She was an independently wealthy socialite in San Francisco when, at age 30, she witnessed effective settlement house work in New York City and became a convert to the power of grassroots reform. She also worked briefly in New York as a waitress to acquire personal experience in the service sector. Younger returned to California, where she organized San Francisco’s first waitress union (1908) and was instrumental in the passage of the state’s eight-hour-day work law. Since Younger viewed working and voting rights as closely related issues, she helped found the Wage Earners’ Equal Suffrage League for Working Women, spoke on the vote in union halls around the state, and encouraged men to support the women’s cause. A master of showmanship, she created publicity for state suffrage with a Wage Earner’s Equal Suffrage League float in the 1911 Labor Day parade in San Francisco. In that year she helped lobby for passage of a woman suffrage amendment to the California constitution. 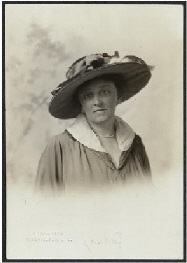 In 1913 Younger brought her considerable organizing experience to the Congressional Union of Woman Suffrage (CU) and later the National Woman’s Party (NWP). Working closely with Alice Paul, she soon emerged as one of the NWP’s most effective orators and was a leading presence at several major NWP events. She was a keynote speaker at the NWP’s founding convention in Chicago in June 1916, and later that year spoke at the memorial service for Inez Milholland. In 1917 Younger traveled throughout the nation to speak about the NWP’s picketing of the White House and the arrest and imprisonment of demonstrators. She chaired the NWP’s lobbying committee (1917-19) and legislative committee (1919), and described her experiences in a 1919 McCall’s Magazine article “Revelations of a Woman Lobbyist.” After 1920 Younger worked with the Women’s Trade Union League and then focused her activism on the NWP campaign for the Equal Rights Amendment. She served as congressional chairman of the NWP from 1921 until her death.